An alleged drunk driver crashed a vehicle carrying eight people on Highway 46 Tuesday evening, causing one death and injuring everyone else onboard. Shortly after 6 p.m., Gonzalez man Hugo Sanchez Carillo, 28, was driving a Toyota Sequoia westbound at about 65 miles per hour on Highway 46 East near the Shandon Rest Area. In an area with traffic cones, Carillo’s Toyota made an unsafe turning movement, crossed over the median and rolled before landing on its wheels and blocking the eastbound lanes. The crash ejected a female passenger from the vehicle. She died at the scene. 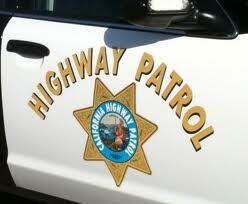 Carillo suffered major injuries and was airlifted to Sierra Vista Regional Medical Center in SLO. He was later arrested for DUI. An additional six passengers suffered minor to moderate injuries and were transported to Twin Cities Community Hospital in Templeton. Officials have yet to disclose the identity of the victim. The woman was reportedly in her 50s or 60s. Following the crash, authorities temporarily closed highways 41 and 46 in both directions by the Shandon rest area. But drinking supports a vital industry in this area so its all good, right? Cali has more laws on the books to save us from ourselves a apparently were not able to prove good judgement. Then we have 280 wineries, 80 bars in slo, pot dispenseries and how many more of each in SLO county? That side of the coin, I say coin cause money is involved, says were all very responsible and can do the right thing? So which is it Ca? How many more gotta die cause of your love of tax dollars. Why would anyone get in the car with a drunk driver? usually because they are more drunk, unfortunately.